The BMW 2002 was the high end of the BMW Neue Klasse (new class) platform, equipped with 2 liter inline-4 and is a regular on the Daily Turismo because they are fantastic to drive, useable and inexpensive today. The nice ones are starting to command some premium prices and the 2002 Tii featured in Jan was allegedly sold to Billie Joe Armstrong of the band Green Day, we're sure he'll have the time of his life with it. 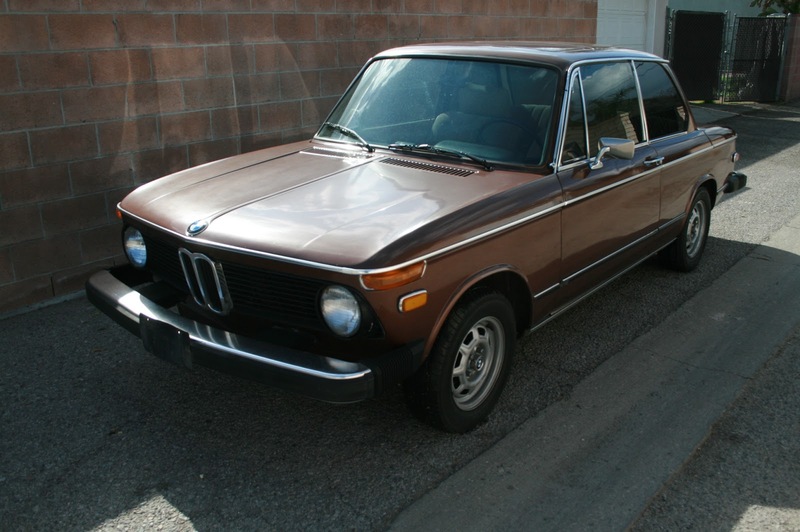 Get this 1975 BMW 2002 single owner survivor currently bidding on ebay for $1,951 reserve-not-met with 6 days to go, located in Mission Hills, CA before it is picked up by another celebrity rock star. (Car submitted by regular DT seller/commenter Tamas; Oprah85 on ebay). 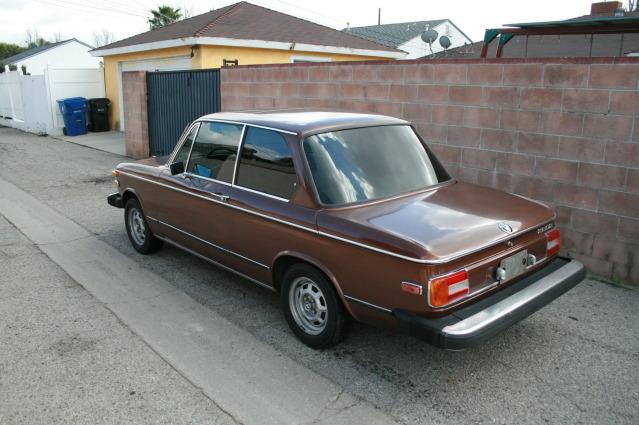 This 1975 BMW 2002 was purchased new by an Air Force Captain (now retired) who owned and drove this car for 37 years. It represents our ideal condition for a Daily Turismo approved classic; an original paint well patina'd survivor that hasn't been subject to Earl Scheib paint jobs and scores of questionable modifications. The single owner status is icing on the cake - and while it doesn't add much resale value (since it will be a 2 owner car when re-sold...not quite the same), it certainly will make the next owner happy. 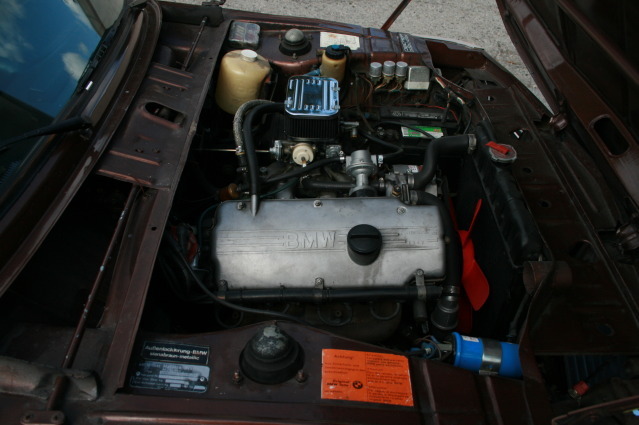 The BMW M05 2.0 liter inline 4-cylinder originally produced 108 horsepower and has had a few tasteful upgrades added by its owner, including a weber carb, Tii distributor and an electric choke. The engine is mated to a 4 speed manual transmission and makes for a driving experience that is much more satisfying than its low horsepower figures would indicate. 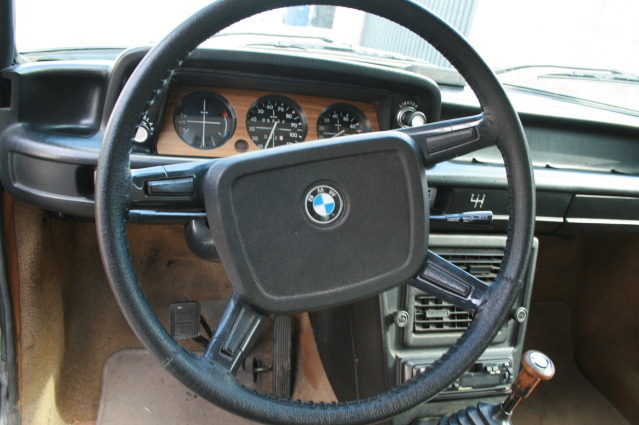 The inside of this BMW looks well used, but not abused. People who own cars for 37 years tend to break into two categories - those who keep them well maintained with regular driving and those who leave them to rot in some barn/storage-locker/lake/vat-of-muriatic-acid. We still can't imagine why anyone would go out of his/her way to find the latter owner's abandoned refuse and then pay a premium because it was a "barn-find"...but we prefer running & driving cars that don't require a trailer or up-to-date tetanus shot to get home. This BMW is currently bidding for pennies on ebay, but expect that to change as new bidders join the scrum; and someone will get a deal as the reserve is set below $10k. Watch the action below on the eBay To Go applet or join the bidding yourself! I realize that Tamas (aka Oprah85) is a frequent contributor and seems to offer up some real clean cars, but I wonder if Mr. Larson knew he was selling his car to someone that was going to flip it instead of enjoy it as he did for so many years. Yeah what a scum bag.